A tasty and very affordable treat from the Castilla-La Mancha region in Spain, the Bodegas Campos Reales Tempranillo. 100% Tempranillo (known as Cencibel here) from Castilla-La Mancha, Spain. 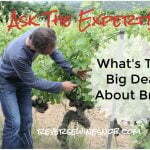 The wine does not spend any time in oak and has residual sugar of 2-4 g/L. 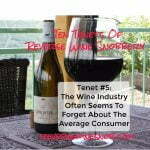 This review is brought to you by Bodegas Campos Reales. Sample submitted for review. The Bodegas Campos Reales Tempranillo is available for as low as $10. 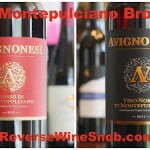 Imported by Serendipity Wines, Vinaio Imports and WorldWide Cellars in the USA and SDSW Wine Imports in Canada. Through a careful selection from our own vines, we obtain this young, cherry and violet colored wine. Bright with red fruit aromas of strawberry and blackberry. 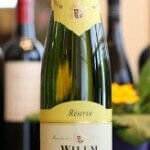 Delicious, fresh and fleshy, with finely balanced acidity. Castilla-La Mancha is considered the largest delimited wine region in Europe covering 500,000 acres of vineyards and four provinces (Albacete, Cuenca, Ciudad Real and Toledo) across the central Iberian plateau. And while it is unfortunately not as well known in the USA as many other Spanish regions, wine has been made there since the Roman times. Thanks to much reinvestment and modernization over the last couple of decades, its reputation is also on the rise. 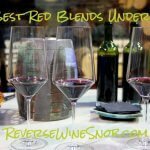 It makes a perfect region for Reverse Wine Snobs to explore! Today’s wine comes from Bodegas Campos Reales which is one of the modern wineries contributing to this rise in reputation. With vineyards located at 2,300 feet of elevation and the latest production techniques, they specialize in making wines from the signature grape of Spain, Tempranillo. 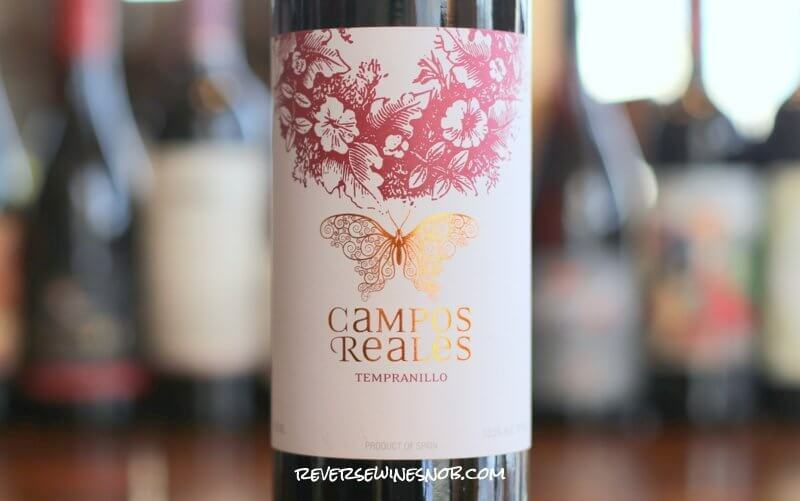 The 2018 Bodegas Campos Reales Tempranillo begins with an excellent aroma of black cherry, blackberry and balsamic with touches of flowers and spice. Tasting reveals a smooth and savory medium-bodied wine full of fresh blackberry, cherry and strawberry flavors. The balsamic and spice notes from the nose also carry over on this delightfully easy to drink wine. It ends with a very long, dry, slightly grippy finish. 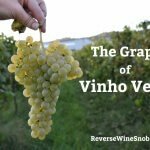 We also had the chance to taste the 2017 vintage and found it just as good which bodes well for its consistency. This is a really high-quality wine for just around $10! See a listing of local retailers selling the Bodegas Campos Reales Tempranillo here. 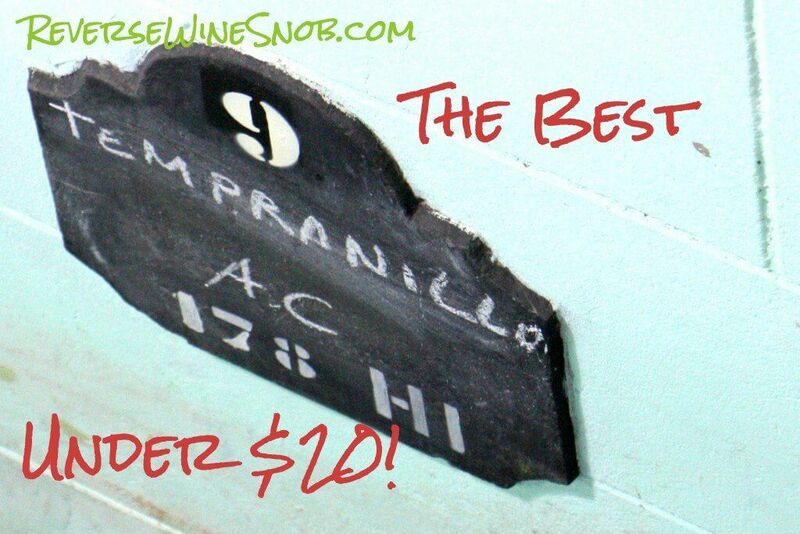 Looking for more of our favorite Tempranillo under $20? Click the pic below to browse our multi-page listing along with more information on this classic variety! This post was sponsored by Bodegas Campos Reales.